"I know it’s dangerous, but death has had me by the throat twice in my life, and I spit in its face. When God's ready, he'll take me," says American (in case you hadn't guessed) Doug Danger. "This is the one jump Evel couldn’t make; he failed. I’m determined to succeed where he fell short." Evel Knievel was the undisputed king of stunt showmanship – the man who made motorcycles fly. He enthralled audiences with his nonchalance, and set new records for broken, fractured and crushed bones. This August, at the Sturgis Buffalo Chip, the Evel Knievel Thrill Show will see the largest collection of Evel Knievel curiosities ever assembled, including the Skycycle, x-rays of his numerous broken bones, the Sports Illustrated leathers and cape, and the Mack truck show-rig he named Big Red. 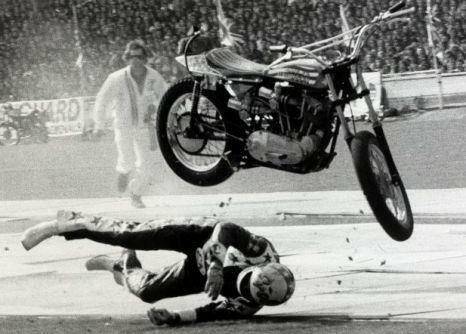 The Thrill Show will also include a dangerous attempt at an unsuccessful Evel Knievel world-record jump on the same bike that failed Evel and ultimately lead to his defeat. 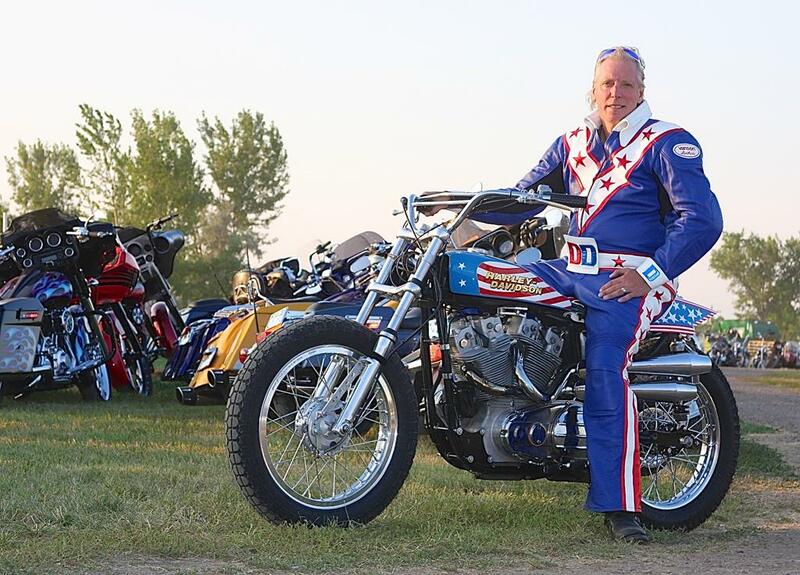 On August 6, 2015, daredevil Doug Danger will attempt a 22-car jump on Evel Knievel’s vintage 1972 Harley-Davidson XR-750 in the middle of the Sturgis Buffalo Chip amphitheater. Knievel attempted a jump over a line of 22 cars on September 1, 1972 in Monroe, Washington. 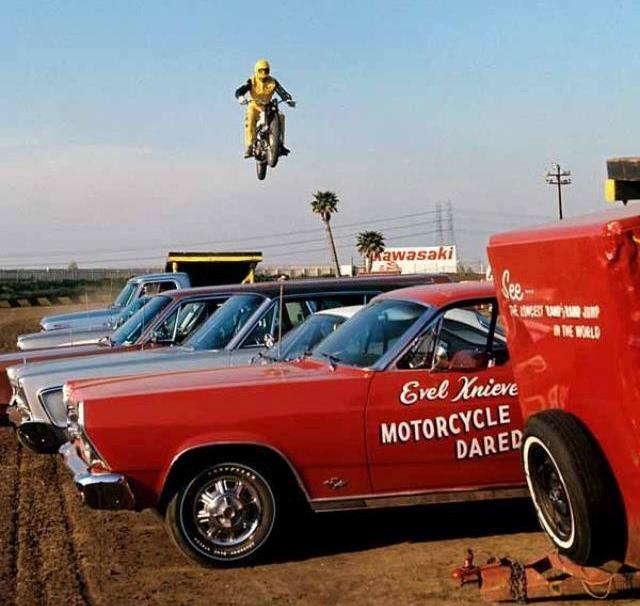 His crew warned that the bike would not attain the speed needed to clear the distance, but because Knievel insisted on doing the jump, they built a safety ramp over the last three cars. Knievel bounce-landed on the safety ramp and left defeated. More than 40 years later, Doug Danger is set to attempt the same jump on Knievel’s own bike. Another 'daredevil' attempted this jump in 2001, and it ended in a horrific crash. Doug Danger will attempt the record-breaking jump on Knievel’s XR-750 in the Buffalo Chip amphitheater on Thursday, August 6. Good luck with that.